Product #22018 | SKU PSC16100 | 0.0 (no ratings yet) Thanks for your rating! 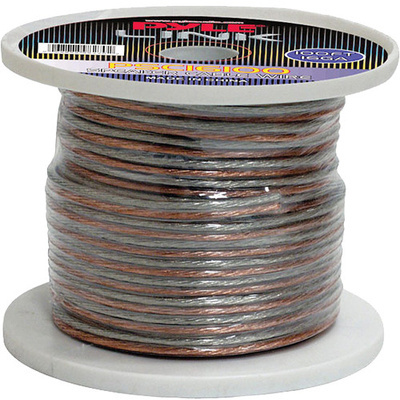 The PSC16100 16-Gauge High-Quality Speaker Zip Wire (100'/30 m Spool) from Pyle-Pro is ideal for general-purpose audio applications. The 2-tone colouring makes it easy to separate positive and negative sections. The cable is unterminated, suitable for bare wire terminals or for adding your own connectors.